Our product range includes a wide range of l- shape modular workstation. L - Shape Modular Workstations with Pre Laminated Particle Boards on the top with 2.5 Feet. 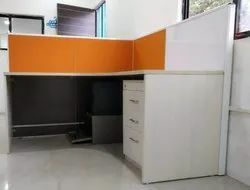 The Total Length of the Workstation Will depend on the as per the buyer the requirement. Looking for Modular L - Shape Workstation ?